Provides enhanced security support through a new Security Panel main driver fully compatible with OS 2.8 and above. The previous main security driver remains available at version 7.4.x for pre-OS 2.8 systems. 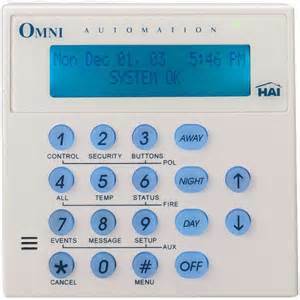 Supports all Areas, Zones, Units, Codes, Thermostats, Macro buttons, Messages, Voice Messages and Access Readers handled by the panel connected to the driver. Access Readers are supported with requests, events and by allowing door locking and unlocking under programming control (see the Programming section below) and optionally via the Navigator interface. (New in 10.0.0) New lightV2 drivers with for HAI/UPB lighting loads (dimmer and non-dimming) with Button and Advanced Lighting Scene connectors. UPB keypads connected to the HAI panel are also supported. Uses an IP encrypted connection with the panel for faster and secure communications as well as immediate feedback on events. Enhanced thermostat support, including presets and scheduling, is provided though a new thermostatV2 companion driver compatible with OS 2.7 and above. Support for HAI’s Extended Range Temperature and Humidity Sensor (31A00-8) is provided through a new thermostatV28 companion driver compatible with OS 2.7. Time and date are updated automatically every 24 hours on the HAI panel, and an Action is provided to update manually. Provides a simplified installation, based on naming different items in the HAI configuration. A new “friendlier” character (“>”) may now also be used to indicate lighting units. Zone groups allow easy but sophisticated control and programming. Zone groups can trigger Control4 relays for direct control. A Navigator Function allows the user to bypass/restore individual zones or all zones in a Zone Group. (New in 10.0.0) Ability to send notifications for key events (Alarms, Arming/Disarming and Troubles). (New in 10.0.0) Ability to turn lights On and flash lights when in Alarm. (New in 10.0.0) Improved History logging of events, available in the Navigator interface. Mirrored relay bindings are created for HAI Units and Access Readers (door lock) having a special name, with ability to control if end users may unlock doors via Navigators (without an access card). 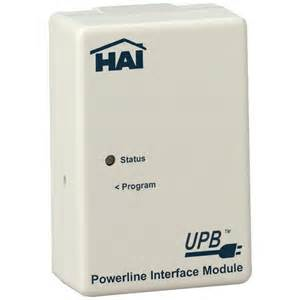 Provides support for the HAI Two-Way Audio/Voice Alarm Module with appropriate connections. New programming variables are set at the beginning of the exit delay for immediate arming feedback to the user. 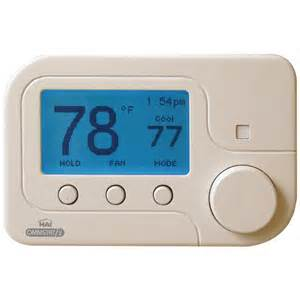 New programming variables are available for each thermostat to report current thermostat humidity level and remote sensor temperature. New programming variables contain the last User number (and name) to Arm/Disarm as well as the last zone to become Not Ready and the last zone to be Restored. Quickly arm and disarm a single area or all areas. Bypass/restore zones and activate Emergency modes. Manage Access Readers, including ability to lock and unlock connected doors with an optional delay. Turn Units ON and OFF with an optional delay. Pulse Units ON, OFF or AUTO. 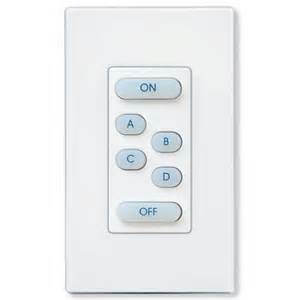 Manage lighting events, loads (Dimmer and Non-Dimming) and keypads. Programming events are triggered when entry and exit delays start. Actions (“Print Status Report” and “Print Debug Log”) simplify reporting of issues. Includes the Domosapiens Inter-Devices Facility (DIDF) to allow other drivers to monitor and control individual elements through this driver (see detailed section in this document). 8.0.0 Addition of a new security panel driver to support the new security interface available with OS 2.8 and above. Addition of Zone Groups and a new V28 companion driver for the HAI Extended Range T & rH sensors. 8.1.0 Addition of an Action to recreate individual zones, a Function to bypass/restore zones and Zone Groups, documentation on “Managing Zones”. 8.2.0 Several improvements to startup processing, added ability to set and report high and low setpoints for Extended Temperature Sensors, added Online/Offline events.